The history of Travancore the southernmost part of India is buried in obscurity because of a non existent documentation. This book attempts to gather authentic information from all surviving sources and provide a accurate history of Travancore from earliest times to 1858. 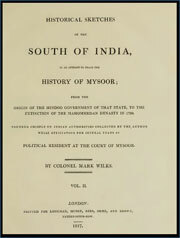 This book takes us through the fortunes of Gingee area in present day Tamil Nadu as they developed through the centuries, illustrative of the vicissitudes through which this part of the Carnatic passed, first emerging under indigenous tribal occupation, then coming under Chola rule and under the sway of Vijayanagar and of its Nayak governors, subsequently serving as the battle-field of Bijapurian and Kutb Shahi ambitions in the Carnatic, also utilized by Shahji and Shivaji consequently experiencing a long-drawn-out siege by Aurangzib’s forces, and after its incorporation into Mughal dominion, flourishing for a time as the headquarters of the Mughal subah of the Carnatic. This book, based on the latest epigraphical, literary and historical researches, owes its inspiration to His Highness Sri Krishnarajendra Wodeyar Bahadur of revered memory, whose interest in promoting true historical research in the State is well known. His Highness instinctively believed that research flourishes most when it is left unhampered, but properly provided for. 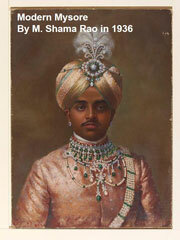 In this volume is comprehended the story of modern Mysore from 1868 to 1936. Dedicated to the revered memory of Chamaraja Wodeyar X – Maharaja of Mysore, who first made the experiment of a constitutional form of Government for an Indian State a success, and in the hands of whose son his highness Krisnaraja Wodeyar IV, it has received great development. 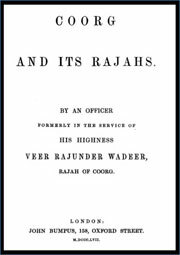 This book meticulously elaborates the lives of twelve representative men who are held in high esteem by the people Among the Princes and Zemindars of Southern India, none are better known than Sir Rama Varma, the late Maharajah of Travancore and Sir Vizia Rama, the late Maharajah of Vizianagram. Sir Madava Row, V. Ramiengar, C. V. Runga Charlu and A. Seshia Sastri are acknowledged on all hands to be the most distinguished of South Indian Statesmen. 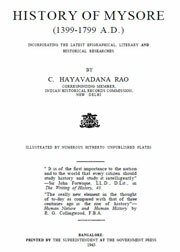 Studies in Tamil Literature and History* was first published in 1930 by Messrs. Luzac & Co., London. The book went out of print in the beginning of this year. 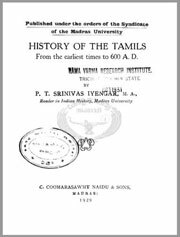 To the earnest student of Indian History and particularly of South Indian History, a deep and critical study of ancient Tamil literature is of the utmost importance. 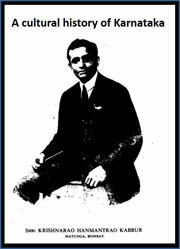 K. Narayana Sivaraja Pillai (1879–1941) was an Indian historian, dravidologist and professor from the erstwhile Madras Presidency. Sivaraja Pillai stressed on analysis of historicity of tradition in the study of ancient Tamil history. 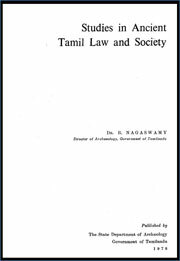 In his 1932 book, Chronology of the Ancient Tamils, he said: “”…venerable as the Sangam tradition in the Tamil land first put into shape by the commentator on [Iraiyanar Akapporul] and sedulously propagated by later commentators, we have to examine it closely and satisy ourselves first about its authenticity and secondly for its evidentiary value for the purposes of history”. 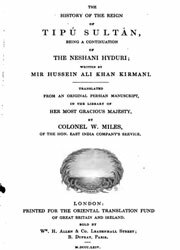 This book is a translation from an old surviving Persian text on details of the life of Tipu Sultan a prominent but controversial ruler of Mysore. Tipu was finally defeated by a combined forces of British and the Marathas and left behind a mixed legacy at best. Translation of the Chronica dos reis de Bisnaga written by Domingos Paes and Fernão Nunes. Domingos Paes (16th century) was a Portuguese traveler who visited the Vijayanagara Empire around the year 1520. 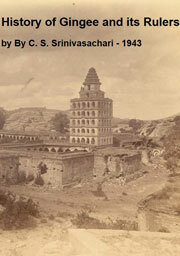 His account of the capital Vijayanagara (Hampi) is the most detailed of all historic descriptions of this ancient city. He visited the city during the rule of King Krishna Deva Raya and recorded his impressions of Vijayanagara state in his Chronica. by the British, in 1834, it was more extensive. Following on my decipherment and publication of the Mercara plates in 1872, I discovered the Ganga inscriptions Nos. 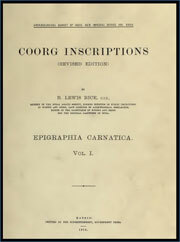 4 and 5, and some copies, mostly imperfect, of various inscriptions in Coorg were furnished to me by Government in the time of Colonel Hill with a view to their being translated. But owing to all my spare time being taken up with numerous other important engagements and absence on duty in Calcutta, it was not till 1886 that the first edition of this work was issued. 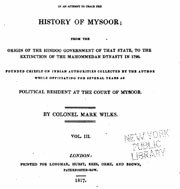 Though the light thus thrown upon the early history of the country was valuable as far as it went, I could not but regret, when recently called upon to compile the Gazetteer of Coorg for the new Imperial Gazetteer of India, the absence of fuller and more satisfactory information on the subject. It was on 24th of October that printing of the first volume of this great work started. It has demanded my unremitting toil all these years and it is with no small gratitude that I contemplate the completion of this arduous undertaking. Origin of the Hindoo government of that state to the extinction of the Mohammedan dynasty in 1799.The first materials of tile following work were collected for purposes connected with my public duties, without the most remote view to publication. Personal curiosity, and the increasing interest of the subject, induced me to pursue it, without any definite object, beyond that of rescuing from oblivion, before it should be lost for ever, the information possessed by living characters; and the farther examination of written authorities followed as a necessary and almost imperceptible consequence of what had already been done. The present work had its origin in the scheme sanctioned by the Government of India in November 1808 for the discovery and preservation of the records ox Ancient Sanskrit Literature in India. 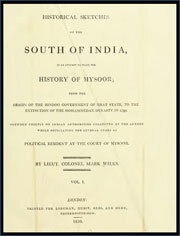 In the distribution of the funds granted for carrying out that plan, Mysore was associated in with Madras. 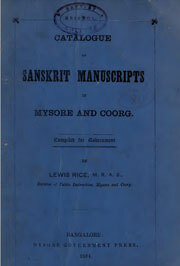 All the latter government in November 1870 placed the services of Dr. Burnell at the disposal of the Chief Commissioner of Mysore for the examination of Sanskrit manuscripts. 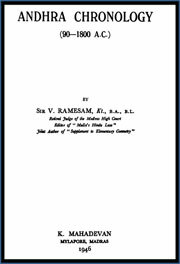 Samoothiri of Kozhikode (Zamorin of Calicut; Portuguese: Samorim, Dutch: Samorijn) is the hereditary royal title used by the Hindu Eradi Nair rulers of the medieval Kingdom of Kozhikode on the Malabar Coast (present day Kerala). The Samoodiris ruled for almost six centuries, between c. 12th and 18th century AD based at the city of Kozhikode, one of the more important trading centers in southern India. No tradition is so widespread throughout the length and breadth of the Tamil country as that concerning sage Agastya and his numerous exploits. Of all the mythic, semi-historic and historic personages of the Aiyan annals, who have figured in South Indian History, Agastya has occupied the foremost place and secured the largest homage of the cultured and the masses alike. He meets us from the very start of Aryan History, being a composer of certain hymns of the earliest of the Vedas, the Rg Veda. Still he seems to have been not included amongst the seven holy sages, the Prajāpatis, or the progenitors of the human race. These were Gotama, Bharadwaja, Viswamitra Jamadagni, Vasistha, Kasyapa and Atri. Even later Puranas, like the Vāyu and the Visnu, which have amplified the list of the primitive sages by including Bhrgu and Daksa, have only quietly passed Agastya over. Raghavanka was a noted Kannada writer and a poet in the Hoysala court which flourished in the late 12th to early 13th century. 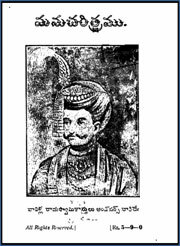 Raghavanka is credited for popularizing the use of the native shatpadi meter (hexa meter, 6 line verse) in Kannada literature. 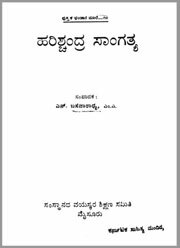 Harishchandra Kavya, in shatpadi meter, is known to have been written with an interpretation unlike any other on the life of King Harishchandra is well known and is considered one of the important classics of Kannada language. He was a nephew and protégé of the noted 12th-century Kannada poet Harihara. 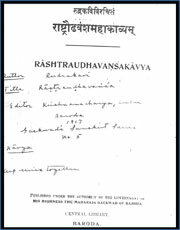 Although the shatpadi meter tradition existed in Kannada literature prior to Raghavanka, Raghavanka inspired the usage of the flexible meter for generations of poets, both Shaiva (devotees of God Shiva) and Vaishnava (devotees of God Vishnu) to come. 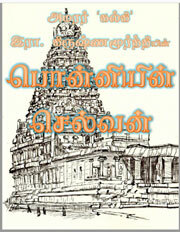 This book is the result of the authors research on Tamil history in 1928. This was also delivered as a series of lectures. Manimekalai by poet Chithalai Chathanar, is one of The Five Great Epics of Tamil Literature according to later Tamil literary tradition. Manimekalai is a poem in 30 cantos. Its story is a sequel to another of the Five Great Epics, Silappatikaram, and tells the story of the conversion to Buddhism of the daughter of Kovalan and Madhavi. Although there is some controversy about the exact date of this work, it probably was composed in the 6th century CE. According to Hikosaka (1989), Manimekalai was written between A.D. 890 and 950, an inference based on linguistic assessment. 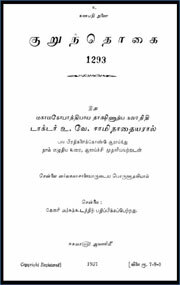 The aim of the author, Seethalai Saathanar (or Cīttalai Cāttanār) was to compare Buddhism favourably with the other prevailing religions in South India in order to propagate Buddhism. He criticizes Jainism, the chief opponent and competitor of Buddhism at the time. While exposing the weaknesses of the other contemporary Indian religions, he praises the Buddha’s Teaching, the Dhamma, as the most perfect religion. 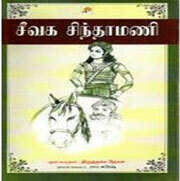 Ponniyin Selvan (The Son of Ponni) is a 2400-page 20th-century Tamil historical novel written by Kalki Krishnamurthy. Written in five volumes, this narrates the story of Arulmozhivarman (later crowned as Rajaraja Chola I), one of the kings of the Chola Dynasty during the 10th and 11th centuries. Kalki Krishnamurthy finished the novel after nearly a period of three years and six months of writing and he visited Sri Lanka three times to learn some information to write this novel. 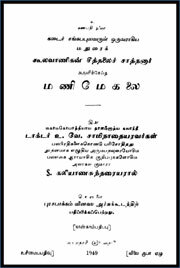 Kurunthogai (Tamil: குறுந்தொகை), a classical Tamil poetic work, is the second book of Ettuthokai, a Sangam literature anthology. Kuruntokai contains poems dealing with matters of love and separation (அகம்) content matter and were written by numerous authors. Nachinarkiniyar, a Tamil scholar living during the sixth or the seventh century C.E. has annotated this work. 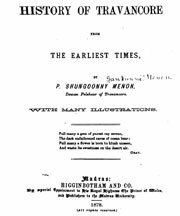 The Purananuru (Tamil Puṟanāṉūṟu) is a Tamil poetic work in the Eṭṭuthokai, one of the eighteen melkanakku noolgal. It is a treatise on kingship: what a king should be, how he should act, how he should treat his subjects and how he should show his generosity. 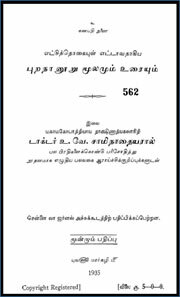 Sangam Collection is classified into Patiṉeṇmēlkaṇakku and Patiṉeṇkīḻkaṇakku and each classification has eighteen collections, as an anthology of Tamil literature, belonging to the Sangam period. It is dated between 7th century BCE and 5th century BCE. 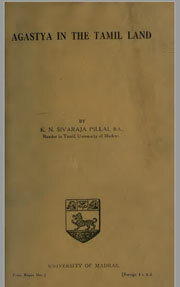 The Purananuru is one of the eight books in the secular anthology of Sangam literature. The secular anthology is entirely unique in Indian literature, which nearly all religious texts during this era. The Purananuru contains 400 poems of varying lengths in the akaval meter. More than 150 poets wrote the poems. It is not known when or who collected these poems into these anthologies. 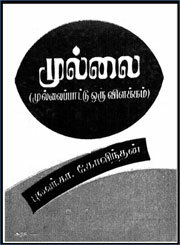 Paripaadal (Tamil: பரிபாடல், a classical Tamil poetic work, is the fifth book in the Ettuthokai, a Sangam literature anthology. Paripaatal contains seventy poems on various deities of the Hindu pantheon. This is a rare example of religious poetry we find in Sangam literature and is possibly the oldest religious composition in Tamil. The poems have associated music (பண்) so that these can be classified as songs (இசைப்பா). There are eight songs on Thirumaal (Vishnu), 31 songs on Kumaran (Muruga), one song on the Sea God, 26 on the mother Vaigai and four songs on Madurai. These songs are written in the ‘Paripaatal’ meter. 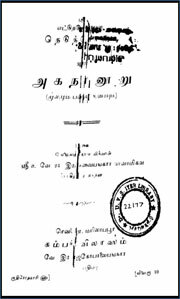 Akananuru (Tamil: அகநானுறு), a classical Tamil poetic work, is the seventh book in the anthology of Sangam literature (600 BCE – 300 CE), namely Ettuthokai. It contains 400 Akam (subjective) poems dealing with matters of love and separation. Other names for Akananuru include Neduntogai or Nedunthokai (“the long anthology”), Ahappattu, Ahananuru, and Agananuru.As many as 145 poets are said to have contributed to Akananuru collection. 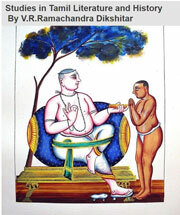 Perunthevanaar, who translated the Mahabharatham into Tamil, is one of the authors. 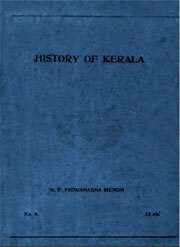 Rudrasarman compiled this anthology at the behest of the Pandya king Ukkiraperuvazhuthi. It is highly likely that the poems in Akananuru collection were prevalent independently before they were collected and categorized in this present form. The anthology is dated to around the first and the second century C.E. 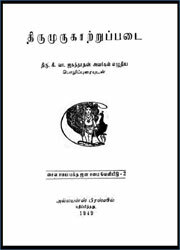 Ainkurunuru (Tamil: ஐங்குறுநூறு, Aiṅkuṟunūṟu) a classical Tamil poetic work containing five hundred short poems, and is part of Ettuthokai, an anthology of Sangam literature. The poems in this book were written by five authors and were compiled by Kudalur Kizhar at the behest of Chera King Yanaikkatcey Mantaran Ceral Irumporai. Natrinai (Tamil: நற்றிணை), a classical Tamil poetic work, is a book of Ettuthokai, a Sangam literature anthology. Natrinai contains 400 poems dealing with the five landscapes of Sangam poetry – kurinchi, mullai, marutham, neithal and paalai. 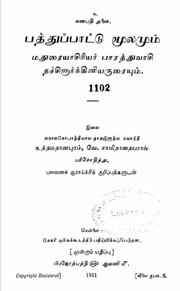 This belongs to some of the oldest extant Tamil literature and is dated to belong to the Sangam age (100 BCE – 200 CE). The stanzas are of varying lengths of between nine and twelve lines each. 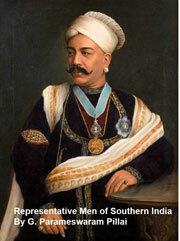 The Pandya king Maaran Vazhuthi patronized this collection. It is not known who made this collection. Civaka Cintamani (Tamil: சீவக சிந்தாமணி Cīvaka Cintāmaṇi) is a classical epic poem. It is a Jain religious epic authored by Tirutakkatevar. Civaka Cintamani means “”fabulous gem””, is also known by alternative name Mana nool (Tamil: மண நூல்) or “”Book of Marriages””. It is considered one of the five great Tamil epics according to later Tamil literary tradition, the others being Manimegalai, Silappadikaram, Valayapathi and Kundalakesi. In its form, it anticipates the Ramayana of Kambar. Cīvaka Cintāmaṇi was much appreciated by the Chola king who was its patron and was well received at his Chola court. It has been admired for its poetic form, appealing story-line, and theological message. The story concerns a hero who through his virtue rises to become king, only to renounce his high station and pursue a life of religious merit. Silappadikaram (Tamil: சிலப்பதிகாரம்) The Tale of an Anklet) is one of The Five Great Epics of Tamil Literature according to later Tamil literary tradition. A Jain poet-prince from Kochi (in modern Kerala), referred to by the pseudonym Ilango Adigal, is credited with this work. He is reputed to have been the brother of Vel Kelu Kuttuvan, the Chera dynasty king. 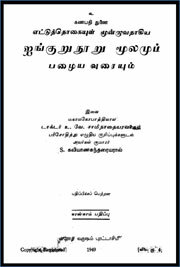 As a literary work, Silappatikaram is held in high regard by the Tamil people. It contains three chapters and a total of 5270 lines of poetry. The epic revolves around Kannagi, who having lost her husband to a miscarriage of justice at the court of the Pandyan Dynasty, wreaks her revenge on his kingdom. Regarded as one of the great achievements of Tamil genius, the Silappatikaram is a poetic rendition with details of Tamil culture; its varied religions; its town plans and city types; the mingling of different people; and the arts of dance and music. Inscriptions are the main source of reconstructing the history and culture of ancient people. For the past one hundred years when epigraphy has received more attention grater emphasis has been laid on the political history of our country, a framework that is essential for the greater understanding of social, religious and cultural history. 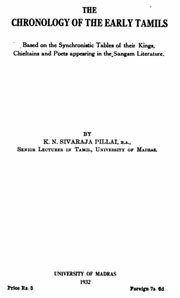 Paṭṭiṉappālai, (Tamil: பட்டினப் பாலை) is a Tamil poetic work in the Pathinenmaelkanakku anthology of Tamil literature, belonging to the Sangam period corresponding to between 100 BCE – 100 CE. 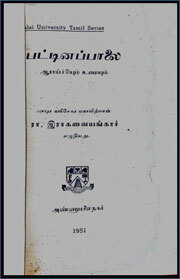 Pattinappaalai is part of the Pattupattu collection, which is the oldest available collection of long poems in Tamil literature. 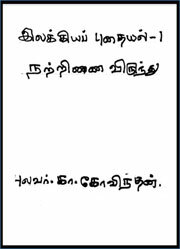 Pattinappaalai contains 301 lines of poetry in the akaval meter. Pattinappaalai was written by the poet Uruttirangannanar in praise of the Chola king Karikala. Pattinappaalai poems belong to the Akam, or subjective themes of love and human relationships and utilizes the location of the story to sing praises of the ruler. 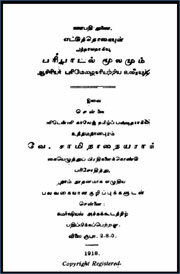 Malaipatukatam, (Tamil: மலைபடுகடாம்) is a Tamil poetic work in the Pathinenmaelkanakku anthology of Tamil literature, belonging to the Sangam period corresponding to between 100 BCE – 100 CE. A song based on the Mullai thinai, one of the five classes. The song portrays how the heroine is yearning to see her lover back, who is due to return from his war, and how she gets happy by hearing her lover’s chariot horses neigh. The shortest of the ten with 103 lines. Written in the 14th century this takes the great epic of Vyasa and translates it into Tamil. Thayumanavar or Tayumanavar, Tamil: தாயுமானவர் (1705–1742), pronounced Thāyum-ānavar, is one of the spiritual giants and a Tamil philosopher from Tamil Nadu, India. 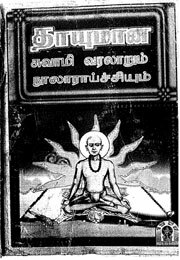 Thayumanavar articulated the Saiva Siddhanta philosophy. 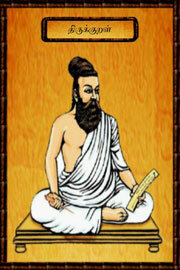 He wrote several Tamil hymns of which 1454 are available. His first three songs were sung 250 years ago at the Congress of Religions in Trichirappalli. His poems follow his own mystical experience, but they also outline the philosophy of South Indian Hinduism, and the Tirumandiram by Saint Tirumular in its highest form, one that is at once devotional and nondual, one that sees God as both immanent and transcendent. The Tirukkural or Thirukkural (Tamil Name: திருக்குறள்), or shortly the Kural, is a classic Tamil sangam literature consisting of 1330 couplets or kurals, dealing with the everyday virtues of an individual. Considered one of the greatest works ever written on ethics and morality, it is known for its universality and non-denominational nature. It was authored by Thiruvalluvar. Considered as chef d’oeuvre of both Indian and world literature, the Tirukkural is one of the most important works in the Tamil language. The work is dated to sometime between the third and first centuries BCE. Five and ten years ago, when myself and my colleagues were put behind the iron bars of the Hindalga Prison as Congress detenues* I received the first glimpses of the glory of Karnataka in the past*. Karnataka really held an eminent position in world culture.. As in the proto-historic period, Karnataka has built rich and masterly traditions in the field of art and architecture, polity and economy, religion and philosophy and other allied branches of culture during the later periods of history. The early history of the Mauryas, Satavahanas, Cutus, Kadambas, Gangas of Talkad, Calukyasl Rastrakutas, Hoysalas, Yadavas and the Rayas of Vijayanagara fully indicate this. We have dealt here with the ancient and medieval periods alone. 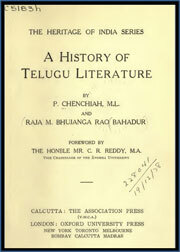 I have cursorily glanced through the History of Telugu Literature by Mr. Chenchiah and Raja Bhujanga Rao, and have been much struck by the authors’ grasp of the subject and broad illuminating views. 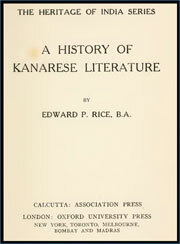 Mr. Rice’s book on Kanarese Literature opened what to South Indians must have appeared as a new way of treating literary histories ; and the present authors have benefited to the full by Mr. Rice’s example. Doubtless the critical student may find in this work occasional omissions, which are inevitable in view of the enormous growth of new matter as a result of recent events and researches. In this book I have attempted to give a sketch of the history of the Andhra or Telugu country from the earliest times up to the complete establishment of the British Sovereignty. 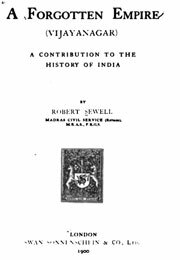 The form adopted by me is that of Chronological Tables, similar to those adopted by Miss Mabel Duff (Mrs. Rickmers) in her Chronology of India, Dr. Burgess in his Chronology of Modern India and in South Indian Historical Inscriptions by Mr. Sewell, published by the Madras University. 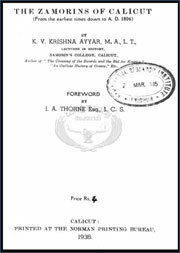 The preparation of the book is mainly based on Epigraphia Indica, 26 vols., South Indian Inscriptions, 1 1 vols., and articles on Inscriptions in Indian Journals. I am also indebted to Mr. B. V. Krishna Rao’s History of the Early Dynasties of Andhra Desa and his articles on the Chronology of the Eastern Chalukyas, for pp. i 16 and 17 30 respectively. Fifty years ago very few, even of the Kanarese people themselves, had any idea of the range of Kanarese literature or of the relative age of the books which constitute it. Our present knowledge is the fruit of patient work on the part of a small number of painstaking scholars, who have laboriously pieced together the scattered information contained in inscriptions on stone and copper and in the colophons and text of palm leaf manuscripts. Allasani Peddana (15th and 16th centuries CE) was a famous Telugu poet and was ranked as the foremost of the Ashtadiggajalu, the title for the group of eight poets in the court of King Krishnadevaraya, a ruler of the Vijayanagara Empire. His famous work was Swaarochisha Manu Sambhavam (also known as Manu Charitra). This work is the development of an episode in Markandeya Puranam relating to the birth of Svarochishamanu, who is one of the fourteen Manus. Pravarakhyudu is a pious Brahmin youth who goes to Himalayas for sight seeing. In Himalayas Varudhini, a Gandharva girl falls in love with him, but Pravarakhya rejects her love as he is already married. Knowing this a Gandharva youth who was earlier rejected by Varudhini assumes the form of Pravarakhya and succeeds to win her love. To them is born Svarochi, the father of SvArochishamanu. This work was produced by Rudra kavi who was patronised by Natrayana Shah or Mayuragiri and he produced it under the latter’s orders in 1596 AD. This poem is a mythological acount of Shiva playing dice with Parvati in Kailasa. Kelallur Nilakantha Somayaji (1444–1544) (also referred to as Kelallur Comatiri) was a major mathematician and astronomer of the Kerala school of astronomy and mathematics. 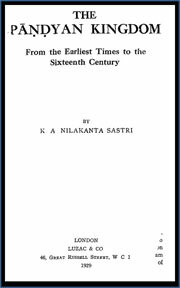 One of his most influential works was the comprehensive astronomical treatise Tantrasamgraha completed in 1501.Tantrasamgraha is an important astronomical treatise written by Nilakantha Somayaji, an astronomer/mathematician belonging to the Kerala school of astronomy and mathematics. The treatise was completed in 1501 CE. It consists of 432 verses in Sanskrit divided into eight chapters. Tantrasamgraha had spawned a few commentaries. 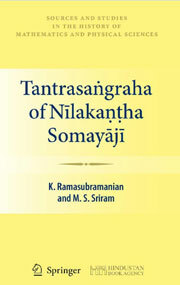 The scholarly world is indeed fortunate that Nilkantha Somayaji —an astronomer-mathematician hailing from the Garga lineage and blessed with a clear intellect—composed among several other works a treatise called Tantrasa ˙ngraha, which is considered to be a gem among works [in astronomy], resplendent with a variety of yuktis, neither terse nor too elaborate, and which gives far more accurate procedures for solving the problems involving eclipses, shadow measurements, [the application of the equation of centre] in the case of Mercury and Venus, and so on. 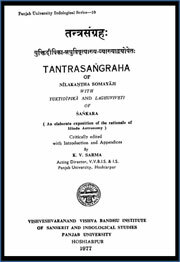 We are now extremely happy to bring out this treatise, Tantrasa ˙ngraha, along with translation, annotation and detailed mathematical exposition for the intellectual delight of the scholarly community. We are also immensely pleased to dedicate this work of ours to Madhava and the galaxy of other astronomers that this great lineage has produced. Pandyan antiquities have failed to interest scholars as much as Cholas or Pallavas. The relative seclusion of the area and the fact that Pandyans were never a major power in rest of India might explain some of this. However a complete view of the story of South India cannot be explained until one understands the history of the Pandyas. Madhavacharya or Mādhava Vidyāranya, is variously known as a kingmaker, patron saint and high priest to Harihara I (ಹಕ್ಕ ರಾಯ I) and Bukka Raya I,((Kannada: ಬುಕ್ಕರಾಯ). ) the founders of the Vijayanagara Empire. He was the 12th Jagadguru of the Śringeri Śarada Pītham from 1380-6.He was born to Māyaṇācārya and Śrīmatīdevī in Pampakṣetra (modern-day Hampi) in 1268 CE. Another account has it that he was born in Ekasila Nagari (modern Warangal). 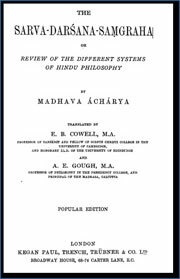 Vidyaranya’s most famous works are Pārāśara-Mādhavīya and the Sarvadarśanasaṅgraha “”Compendium of school of philosophies””, a compendium of all the known Indian schools of philosophy. To quote Sarvepalli Radhakrishnan, the Sarvadarśanasaṅgraha “”sketches sixteen systems of thought so as to exhibit a gradually ascending series, culminating in the Advaita Vedanta (or non-dualism).